3 Bedroom Townhouse in West Edmonton! Conveniently located in West Edmonton, near West Edmonton Mall, the Anthony Henday Ring Road and Whitemud Drive this is the perfect place to call home! Surrounded by major shopping and service amenities, parks and schools you'll have everything you need right in your neighborhood! Inside the unit you'll find stunning laminate flooring throughout the main floor and new carpet upstairs! On the main floor you'll find a spacious living room leading out to a fully fenced yard, a dining area and a gorgeous kitchen complete with tile back-splash, tons of cupboard space, a full sized fridge and an oven/stove. Also enjoy a half bathroom on the main floor! Upstairs there are three spacious bedrooms with built in closets, a full bath complete with a tub shower and a linen closet. Downstairs is home to the washer and dryer, and its unfinished space is perfect for your storage needs! 1 Parking Stall included in the rent! Call today to book a viewing!! 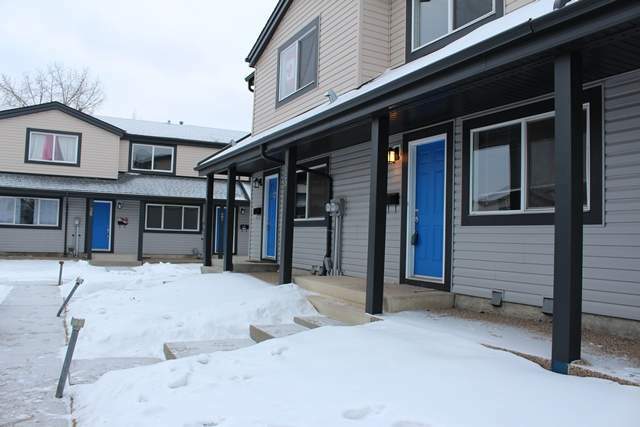 3 Bedroom Unit Availability - 3 Bedroom Townhouse in West Edmonton!